Comcast Business today announced a nearly five million dollar investment in the expansion of its fiber-based network in Baltimore City, reaching more than two thousand additional businesses and directly benefiting hundreds more by making the network more accessible. Capable of delivering up to 100 Gigabits-per-second (Gbps) of network capacity, the fiber optic Ethernet network expansion supports advanced services and gives Comcast Business the ability to give new customers, ranging from small and medium-sized organizations to large enterprises, quick access to its network. While the Comcast Business network already serves many of Baltimore’s largest companies and hundreds of businesses, this expansion has deployed additional miles of new fiber in downtown Baltimore bringing high-performance Ethernet, Internet and advanced voice solutions to more businesses and organizations. The Ethernet extensions, which are both aerial and underground, include downtown buildouts from Harbor Place to Green Mount Cemetery and Enoch Pratt Library, the University of Maryland Medical Center and Seton Hill area, the Seagirt Marine Terminal harbor-front area and Canton neighborhood, as well as connecting hundreds of businesses northwest of downtown, including the Baltimore Zoo and Sinai Hospital. Comcast Business serves 20 of the nation’s top 25 markets and is one of the fastest-growing Ethernet providers in the nation. 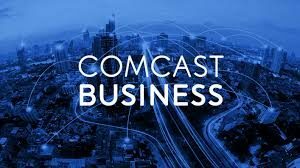 With a comprehensive portfolio of Ethernet options, Comcast Business serves businesses and organizations with distributed enterprises that require large amounts of bandwidth, are looking to link multiple sites or branch locations or plan to connect their offices to a third-party data center. Nationally, Comcast Business’s Ethernet services are delivered over an advanced network that spans more than 153,000 miles. Comcast Business customers thus remain on an advanced network that is quickly scalable and privately managed by an experienced team. Comcast Cable is one of the nation’s largest video, high-speed Internet and phone providers to residential customers under the XFINITY brand and also provides these services to businesses. Comcast has invested in technology to build an advanced network that delivers among the fastest broadband speeds, and brings customers personalized video, communications and home management offerings. Comcast Corporation (Nasdaq: CMCSA) is a global media and technology company.